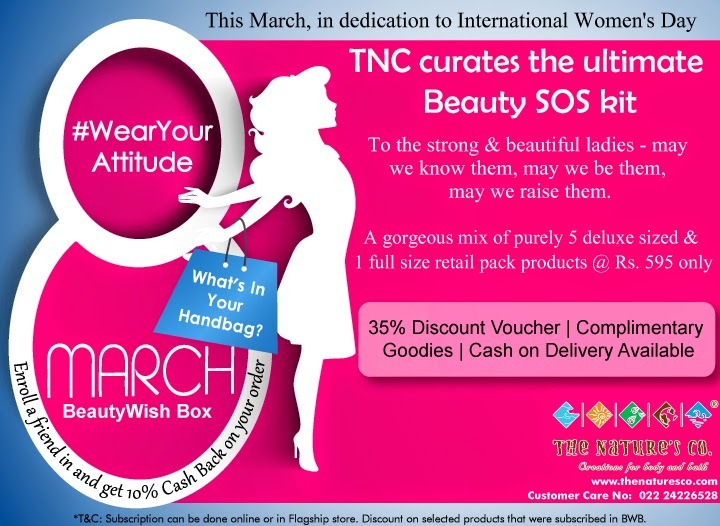 As 8th of March, International Women's Day is nearing, The Nature's Co. decides to bring in this spirit and celebrate womanhood, by dedicating their March BeautyWish box to all the women of substance out there. This special time is the celebration of respect, appreciation and support towards women but also their achievements in our society. 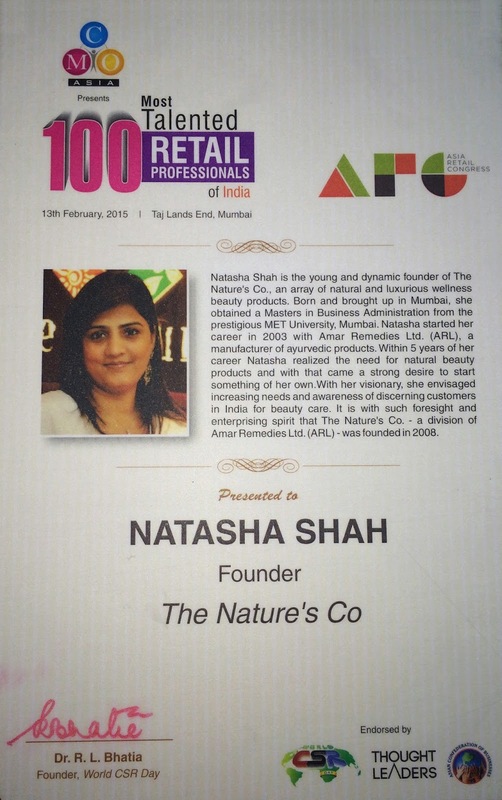 This times celebration is doubled asTNC's Founder and beauty expert, Natasha Shah, gets felicitated as one of the 100 Most Talented Retail Professionals of India 2015 by the Asia Retail Congress on 13th Feb in Mumbai. They quote, "To the strong & beautiful - may we know them, may we be them, may we raise them." 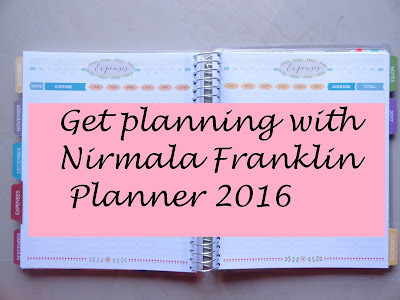 and open subscriptions to - What's in your handbag? - "Wear you Attitude" BeautyWish Box. This purely-gorgeous beauty box goes out to you all as the ultimate Beauty SOS kit, valued at Rs. 595/- only, this handpicked set of good-for-you skin beautifiers will help keep you fresh-faced all day, without the synthetics and chemicals. This limited-edition collection comes with a 35% discount voucher and also with the ease of a Cash on Delivery option available. This post reminded me that Women's Day is coming up. How do you celebrate Women's day? I just realised I need to make plans with my girls. *press release sent by the Brand.